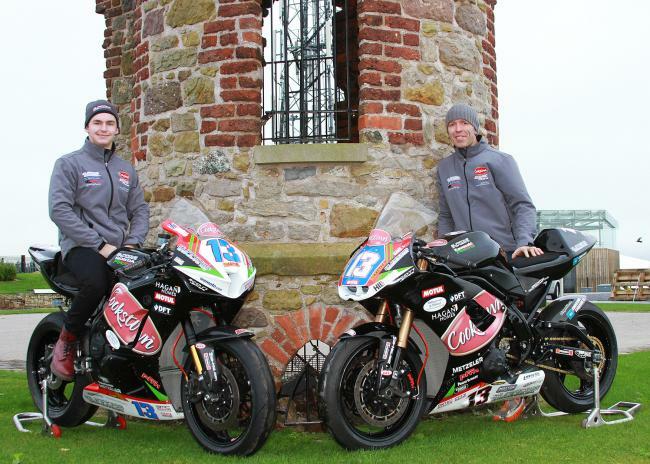 Cookstown Burrows Engineering Racing will race into next season with one of the hottest young prospects in the world of road racing leading their attack for the 2016 Isle of Man TT Races fuelled by Monster Energy and other selected international and national road races. The County Tyrone based team's full-time rider for next year is 20-year-old Malachi Mitchell-Thomas, who hails from the Bolton area in the North-West of England. Mitchell-Thomas was a top class, race wining Supermoto rider before making the transition to road racing. He was a leading light in both the British and European Supermoto championships and has the distinction of being the youngest ever rider to be selected to represent Great Britain at the Supermoto of Nations event. In 2012, aged just sixteen, he was invited to compete at the inaugural Simoncelli Foundation Supermoto Charity event at Latina, Italy, where he raced against Max Biaggi, Andrea Dovisioso and Valentino Rossi. Mitchell-Thomas took to road racing in 2014 like a duck to water. He was a regular points scorer in the British Superstock 600 series with a best result of fourth at Oulton Park. First time 'between the hedges' he was the best newcomer in every race he contested at the Southern 100 and took his first podium on the Billown circuit when he finished second to Conor Cummins. At the 2014 Manx Grand Prix, Mitchell Thomas finished second to Billy Redmayne in the Newcomers A race, beaten by less than two seconds. In 2015, Mitchell-Thomas took top six finishes in the British Superstock 600 series at Donington, Oulton and Brands Hatch but where he really excelled was at the Manx Grand Prix where after finishing second in the Junior race he won the Senior race and established a new Manx Grand Prix lap record of 122.22 mph. He would almost certainly have also won the Junior Manx GP but had to settle for second after his bike developed an overheating problem. All this while still a teenager! "I spoke to a number of well established riders as well as Malachi about joining the team. After much thought, I decided to offer Malachi the full-time ride as I believe he is a truly outstanding prospect and deserves a chance with a professional team and competitive machinery. I think he is the man to keep Burrows Engineering Racing at the forefront of road racing. "Malachi will ride for us in the big three International road races, the Southern 100 and selected Irish national meetings, kicking off his campaign at Kirkistown on Easter Monday. He has been over to Ireland recently and he took the opportunity to do reconnaissance laps at Cookstown and Tandragee as well as getting acquainted with the team and the bikes he will ride. "He will have Supertwin, 600 and 1000cc machinery at his disposal next year as well as a 125GP machine which will allow him to get some extra track time at the circuits he is not familiar with. Malachi may be relatively inexperienced but Jamie Hamilton and I will be on hand to help him learn all the new circuits so I'm confident he will quickly be on the pace at the various venues. Jamie will be involved with the team full-time this year as his recovery from injury continues and his track knowledge, and his knowledge of the machinery, will be invaluable to Malachi. "Burrows Engineering Racing will have a second Superbike rider for the NW200, Isle of Man TT and selected Irish meetings. The name of that rider will be revealed in due course along with a full list of our sponsors and supporters. Cookstown will be our title sponsor again in 2016, it will be great for my successful long-term relationship with the famous pork producers to continue!"